With the 2017/2018 racing season coming to an end, the Hollywood Syndicate has been looking to the future with the focus on strengthening our stable of horses for the next few seasons. With that in mind, we purchased some very exciting yearlings at the 2018 KZN Yearling Sale, which was once again held at on the Sibaya Casino complex north of Durban. Learn more about each horse below, their breeding and pedigree, as well as which centers we intend on racing them in the near future. 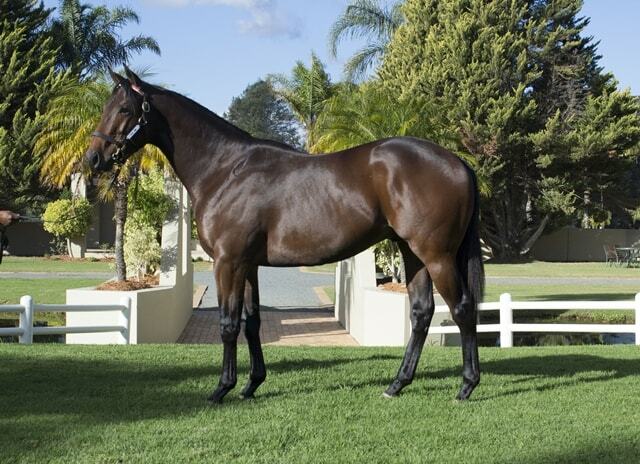 Click on the KZN Yearling Sale lot number to view the pedigree listing. Bred by the well-known Hemel ‘n Aarde Stud, she is a filly by Captain of All, out of a National Emblem mare called Russian Foxtrot. The mare has already produced 3 foals (2 runners / 2 winners) and both have already earnt some black type. The first foal, RIKITIKITANA won the Christmas Handicap (Gr3) and Rockin Russian ran 2nd in the Thekwini Stakes (Gr1) last year. Specimen wise, she is very racy and will no doubt be an early sprinter before she gets more ground later on in her career. We haven’t placed this filly with a stable just yet, she will spend the next few months on the spelling farm before she is sent off to begin the next phase of her career. 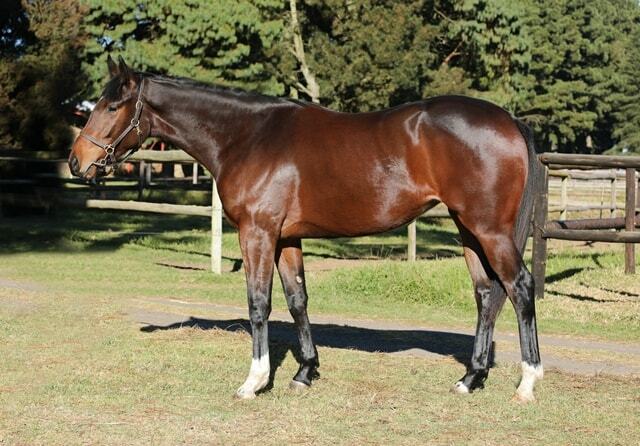 Bred by the KZN based Bush Hill Stud, he is colt by Toreodor, out of a Var mare called She-Var. He is a nice strong colt with scope – from the same family that has produced PIRATES GOLD who won the Kings Cup Gr3, CAPTAIN AMERICA (a multiple Gr1 winner) and AQUITAINE who won the Jacaranda Handicap Gr3. He is a great mover who should get any trip between 1400m and 2000m. This wonderfully tempered horse will now be broken in on Clinton Binda’s private establishment while he matures into an exciting thoroughbred. Bred by Highlands Stud, he is a colt by Pathfork out of a mare called Stargazer Pink, by the highly rated damsire – Jallad. He was one of the best looking specimens on the sale, with a “strong page” peppered with bold black type to back up his appearance. He is from the same family that produced VILLANDRY who won the Gold Medallion (Gr1) as a 2 year old, RAVISHING – winner of the SA Derby (Gr1), DYNASTIC POWER who won the Bettingworld 1900 (Gr2) and CORAL FEVER – winner of the Champions Challenge (Gr1), to name a few. 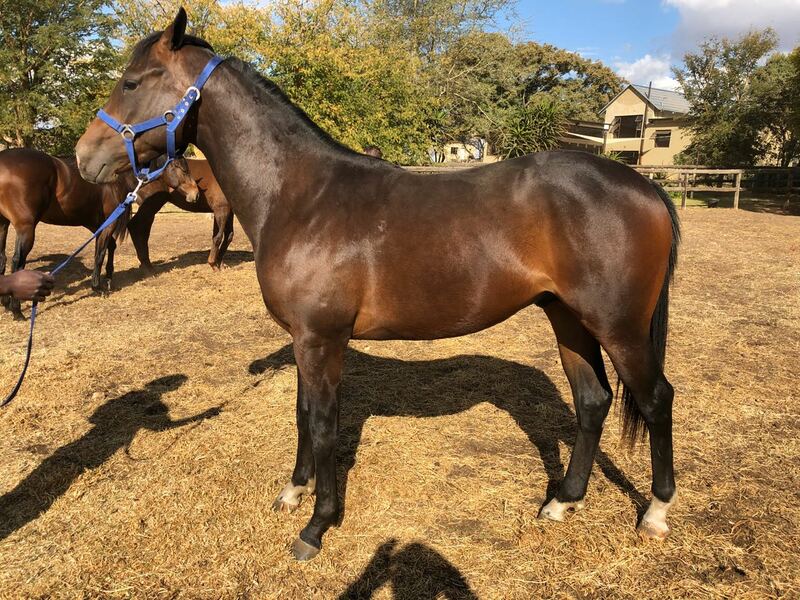 We are particularly excited about this eye catching young colt and the syndicate looks forward to watching him mature into an exciting racehorse under the guidance of Clinton Binda. Another one bred by Hemel ‘n Aarde, by the exciting young stallion What A Winter. She is the first foal out of the Dynasty mare, Upon A Dream. Other notable offspring from this family include GREEK WARRIOR – a 9 time winner including the Senor Santa handicap (Gr2), LITTLE BALLERINA – winner of the Argus Guineas (Gr1), TROJAN BELLE – a 7 time winner including the Majorca Stakes (Gr2) and BURAN – winner of the Umkhomazi Stakes (Gr2). She is a very racy filly who looks like an early type who should get 1200m – 1600m. She was hand picked by Kevin and Alyson Wright and will based with them as a result. We look forward to watching her mature into a exciting filly. 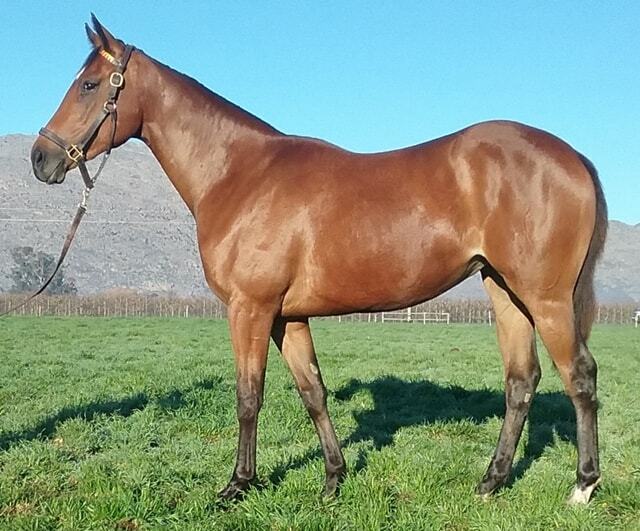 Bred by Wicklow Stud, she is a smart looking filly by Bold Silvano out of the Caesour mare called Vivacity. 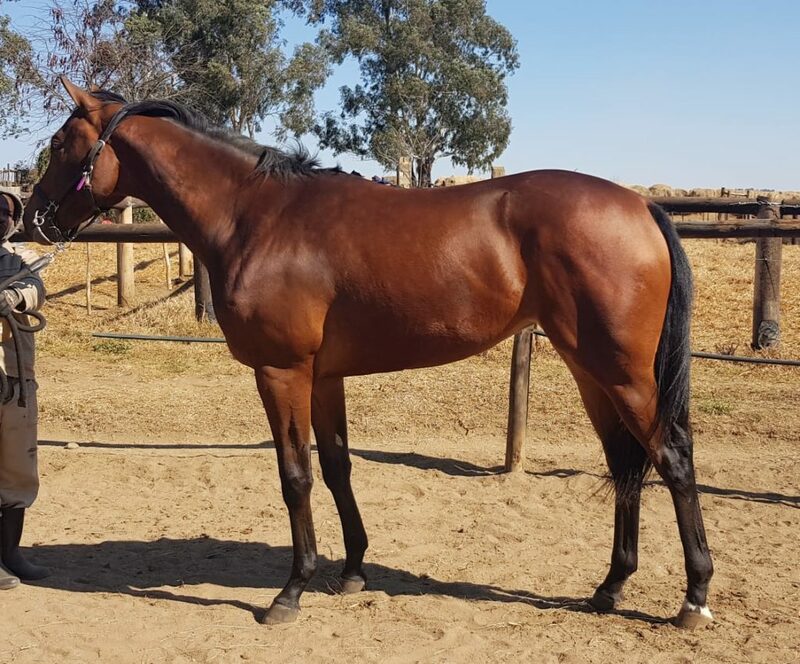 She appears to be a sprinter / miler type filly with the family producing the likes of ROCK CANDY – winner of the Mercury Sprint (Gr1), AL MARRIACHI – winner of the Umkhomazi Stakes (Gr3) and the famous sprinter SENOR SANTA who needs little introduction having won the Computaform Sprint (Gr1) and the Mercury Sprint (Gr1) during his time. Two other notable offspring who incidentally won over ground, from the 2nd and 3rd dams include LONDON GUEST (winner of the 2200m Gr3) and FLIGHT ALERT (winner of the Cape Guineas Gr1) respectively. 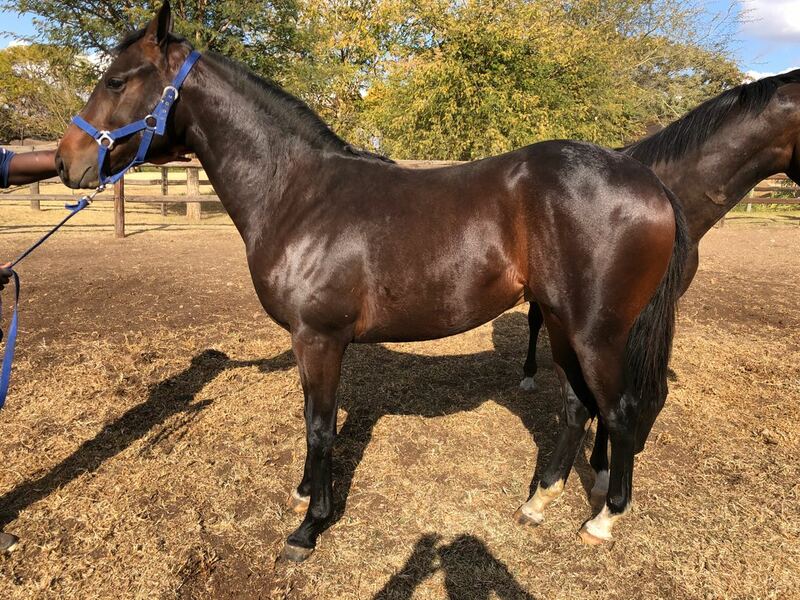 She looks like a versatile sort on paper and in specimen and we are excited to watch her grow into a racehorse under the expert guidance of Alyson and Kevin Wright. 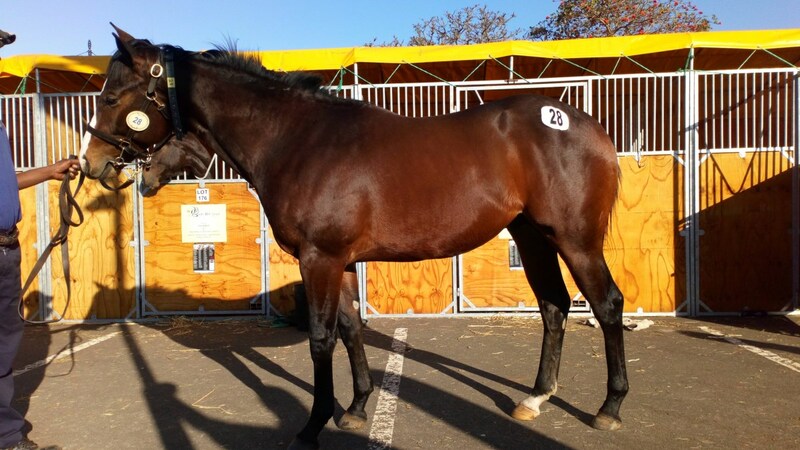 Bred by Boland Stud, she is by the exciting freshman sire Wylie Hall out of the Fort Wood mare called Cochineal. This being her 2nd foal with the first foal (by Master of My Fate) already hitting the board with 3 places from 4 starts. As one will notice in the photo, she is a filly with lots of substance and plenty of scope. The family has produced multiple Gr1 winners including the likes of: SET AFIRE (12 time winner including the Horse Chestnut Stakes Gr1), RUDRA (winner of the Summer Cup Gr1), NANIA (winner of the Thekwini Fillies Gr1), RED RAY (winner of the Mercury Sprint Gr1), BRUTAL FORCE (8 time winner including the Merchants Gr2 , with stakes earnings of over R2 million) and BISHOPS BOUNTY (winner of the Diadem Stakes Gr2). She has not been placed with a trainer at this stage and we will more than likely place her once she has been broken in. Bred by Nadeson Park, he is a colt by the stallion Great Britain out of the Count Dubois mare Constantia Mist. This being her 2nd foal where the first foal is yet to take up her place in the starting stalls to date. He shares the same family as the likes of Rabattache (a 7 time winner / placed 10 times), Kilrain (a 6 time winner / placed 19 times) and CASINO QUEEN who also won 7 starts including the Sceptre Stakes (Gr2). 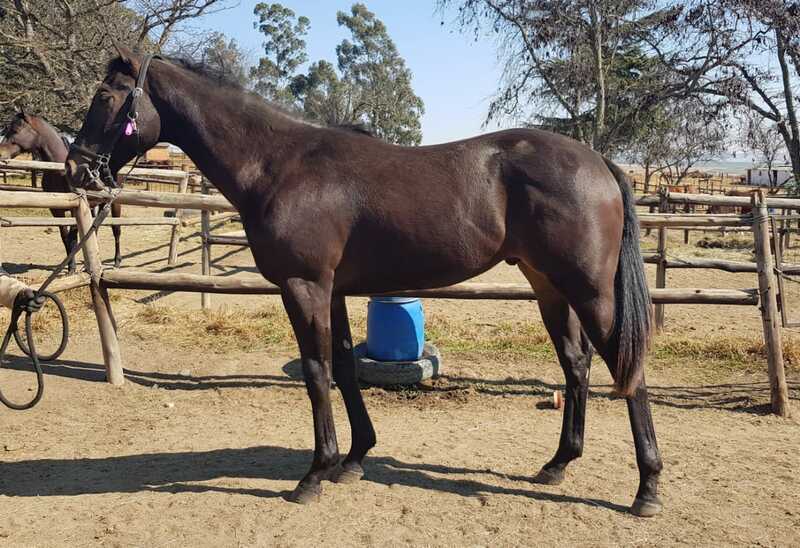 This exciting young colt will take up his place at Clinton Binda’s training establishment in Gauteng and we are looking forward to seeing what he can produce on the racecourse. Bred by Hadlow Stud, another colt by the KZN stallion Great Britain and out of the black type mare called Daintree Dancer (Mossman). He was a very racy colt, considering that he is the first foal from this mare. He most probably won’t be a big horse but he has everything in the right places and on inspection it was clear that he is going to be very athletic. He shares the same family as the likes of KARAKA ONE (winner of the Greyville 1900 Gr2), GOOD TRADITION who won the Olympic Duel Stakes (Listed) and MERMAIDS FLANNEL (winner of the Michaelmas Handicap L). He too, will be joining his counterpart (by Great Britain) on Clinton Binda’s private establishment where he will be prepared for the racetrack. Bred by top KZN breeders Spring Valley Stud, this is an Irish Flame filly out of the National Emblem mare, Galingale who is the half sister to EXHILARATION (winner of the Premiers Champion Stakes Gr1). She is a cracking filly with plenty of scope. 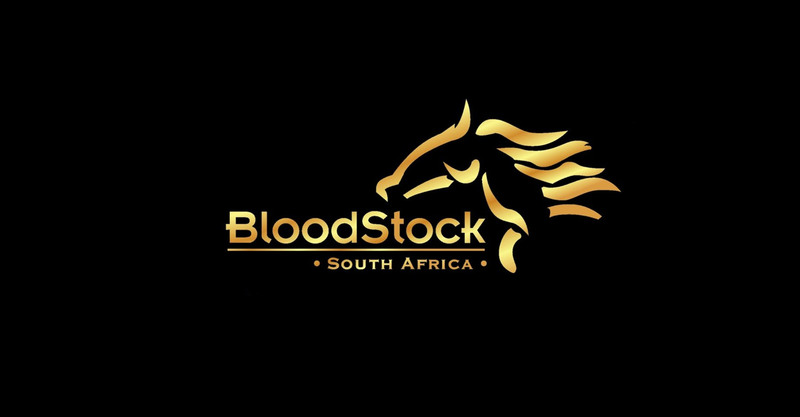 From the family that has produced the likes of GRECIAN GALE (12 time winner including the Turffontein F&M Stakes Gr2), WENDYWOOD (winner of the Woolavington Gr1 and Champion 3YO Middle distance Female in 2008), POWER KING (winner of the Vodacom Durban July Gr1) and BEZANOVA (winner of the Charity Mile Gr2). She covers lots of ground and this is an indicator of the big action she will have at top speed. A classic, strong looking filly who we are very excited about. 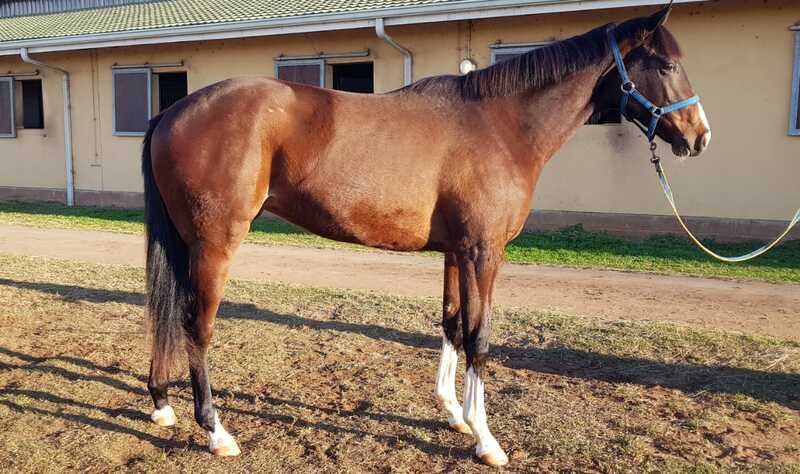 She will take up her place at Kevin and Alyson Wrights yard in KZN. 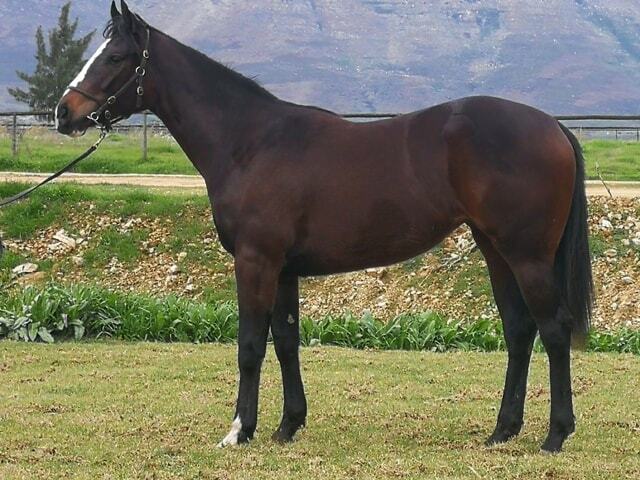 Bred by Riethuiskraal Stud in the Western Cape, he is a cracking colt by Querari out of the Judpot mare Indy Dancer. He is bred to be a sprinter / miler and he looks every bit the part of a guineas horse. From the super strong family of multiple group 1 winners and sires, namely: LONDON NEWS (international Gr1 winner including the Rothmans July Gr1 and the QEII Cup Gr1 to name a few, Sire), KINGS GAMBIT (7 wins including the SA Derby Gr1), PLUCK (winner of the Breeders’ Cup Juvenile on Turf Gr2, Sire), MASTER OF MY FATE (winner of the Premier Trophy Gr2 and promising Sire), PROMISFROMMYHEART (winner of the Triple Tiara and dam of Master Of My Fate – Sire) and SUPERWOOD (winner of the Gold Circle Derby Gr2) to name a few. This was one of the easiest purchases at last weeks sale and we were delighted to pick him up. He will spend the next few months on the spelling farm before he is bought in to begin his training regime with Kevin and Alyson Wright. Bred by Ndoro Stud, this is a filly by the exciting young sire Master Of My Fate, out of the Go Deputy mare named Music Pass. 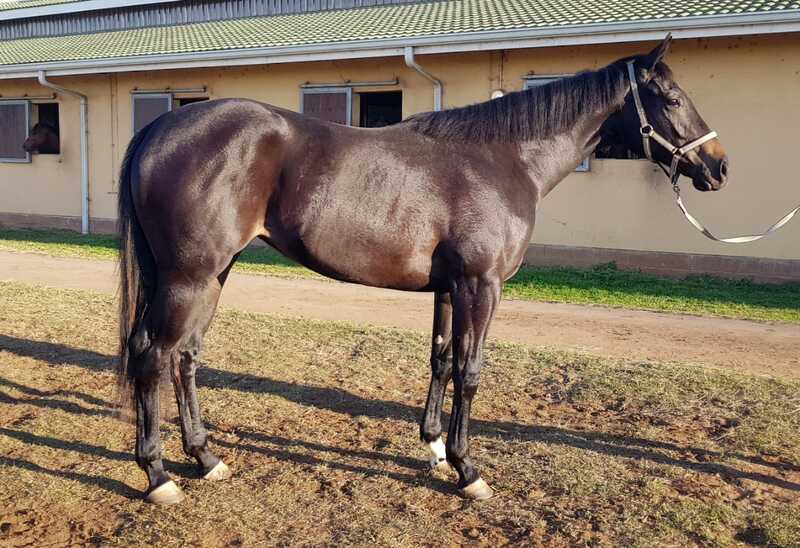 This filly is from the same family that produced champion broodmare Akinfeet, who went on to produce the likes of CAPETOWN NOIR (champion miler in 2014 including with earnings of over R2.7million and wins in the Queens Plate Gr1, Investec Cape Derby Gr1 and the Cape Guineas Gr1) and ACROSS THE ICE (11 time winner / placed 33 times with earnings of over R1.1million and wins in the August Stakes Gr3 to name a few). She may take a bit of time as she will more than likely grow into a decent sized filly, but we are more than happy to wait and see what she has to offer in terms of ability. It certainly looks as if she is plenty to come. She is another very exciting filly to add to our string and she will take up her place at the Kevin and Alyson Wright yard. View other horses purchased at recent sales by the Hollywood Syndicate by clicking here! View all the horses owned by the Hollywood Syndicate by clicking here!